I was out shooting some photos that did not include a view of the city last night. 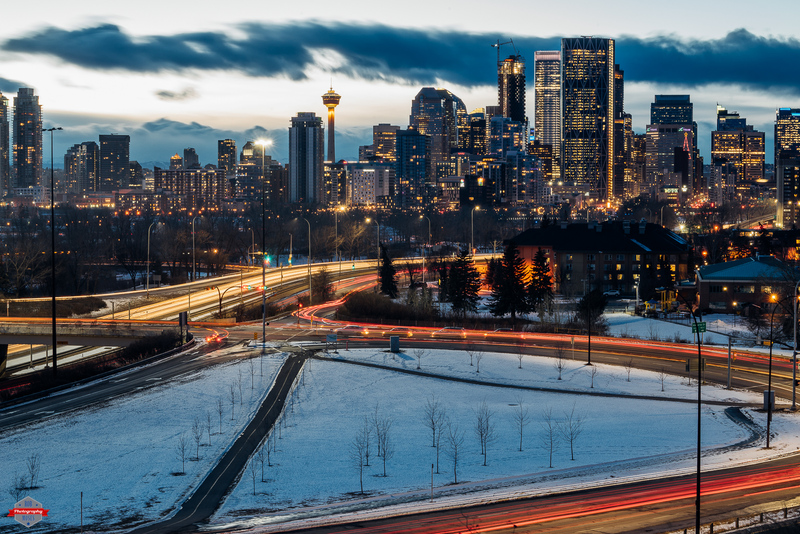 However the location I was shooting at had a pretty good view of Calgary. Just as I was wrapping up what I was doing I took a look at the city and figured it’d be a shame not to at least shoot one or two photos while I was there. If I waited another 10 minutes I might have got a better shot, but I was happy with this and decided it was a little different from what I normally do, so that’s probably a good thing. This entry was posted in Architecture, Cities and tagged 70-200mm, A7R, Alberta, apartments, architecture, beautiful, building, buildings, Calgary, Canada, cars, city, City Life, clouds, condos, downtown, evening, freeway, G, highway, lights, metro, modern, Park, pretty, sky, Skyline, sony, street, streets, tower, uptown, Urban, winter, yyc, Ziess. Bookmark the permalink. It is gorgeous, Rob. Happy New Year to you and your family!